Horses that are fed a grain-rich or low fiber ration, are exposed to stress or have to deal with illness, are more prone to developing stomach and intestinal complaints. 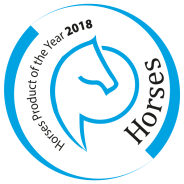 For these horses, roughage manufacturer Hartog has developed the Lucerne mix Digest. This product is enriched with POWERSTART®. The special blend with natural micro elements is combined with acid buffers, probiotics and yeast cultures. 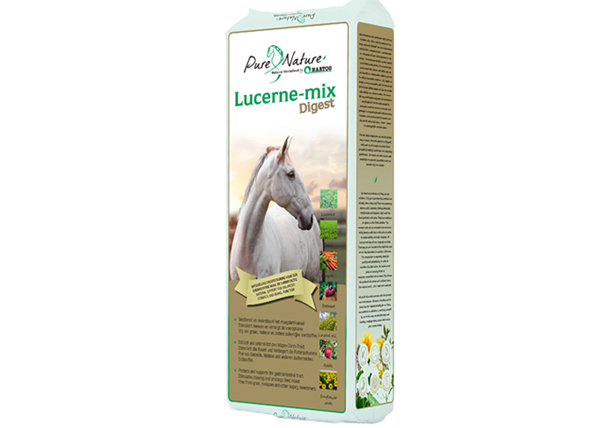 The Lucerne mix Digest contributes to a better intestinal immunity and a better absorption of nutrients and water. The roughage mix improves the acidity in the stomach and intestines and protects the gastrointestinal mucosa.